Manufacturer wholesale Russian pre-fanned volume lashes with private label packaging to uk.Russian volume lash extensions are create a very natural looking,by adding lengths and curls. 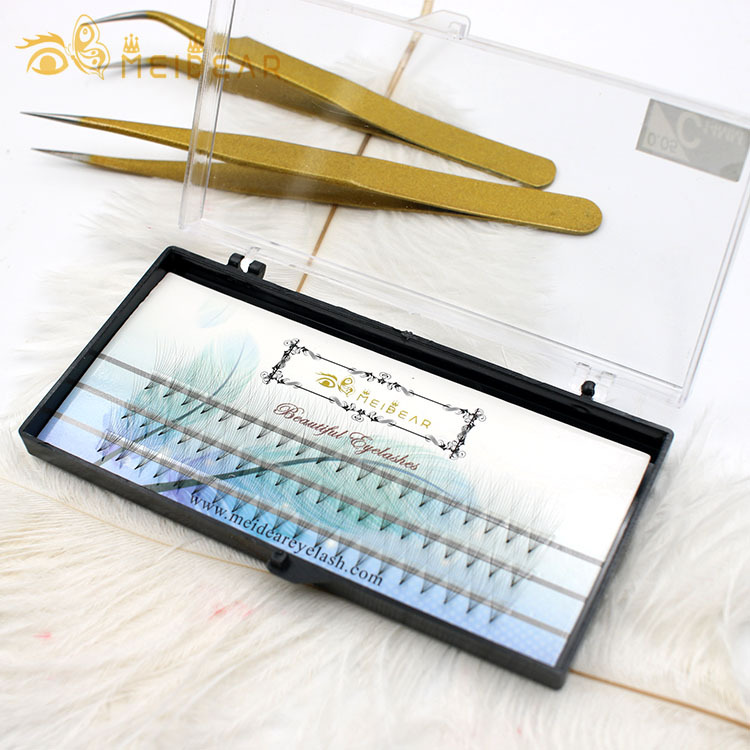 And on the other hand,the premade volume lashes are very soft and light weight,handmade fans are applied to our natural eyelashes to create a more fluffy and gorgeous looking. 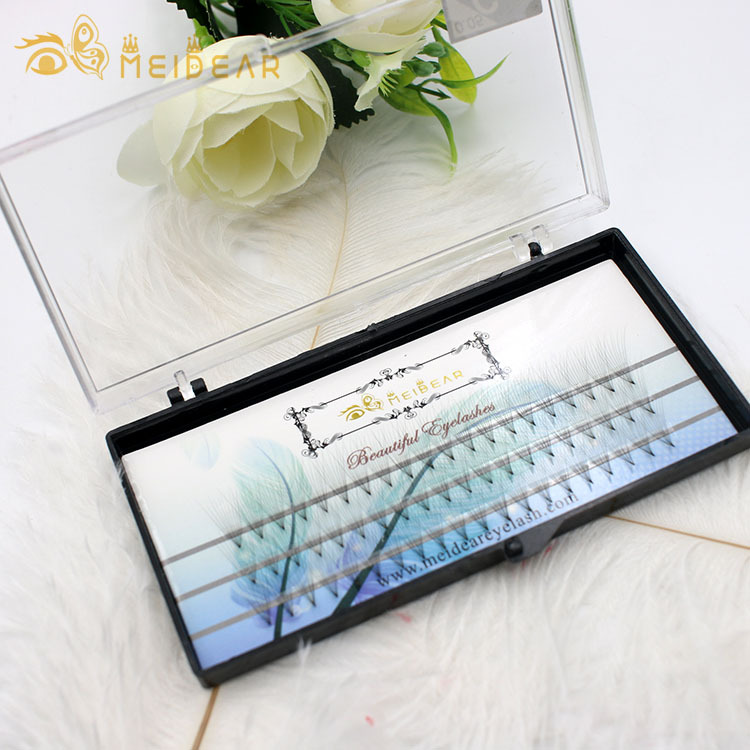 We can provide many shapes for our customers, C and D curls,2-20 lengths, and 0.05mm,0.07mm and 0.10mm.The most famous premade fan volume lashes are set in the industry,they are 100% handmade with 2 to 20 feather weight lashes fans together and applied to our natural eyelash. Each volume dan is hand crafted by the stylist one by one to best to our eye, brow and face shape. The result is a full, dramatic, customized look designed especially for our lash line. Pre fan Russian lash extension is the fastest growing beauty treatments in the world.The volume extensions enhance our natural lashes by adhering fans to each natural eyelash, using the finest medical grade adhesive. 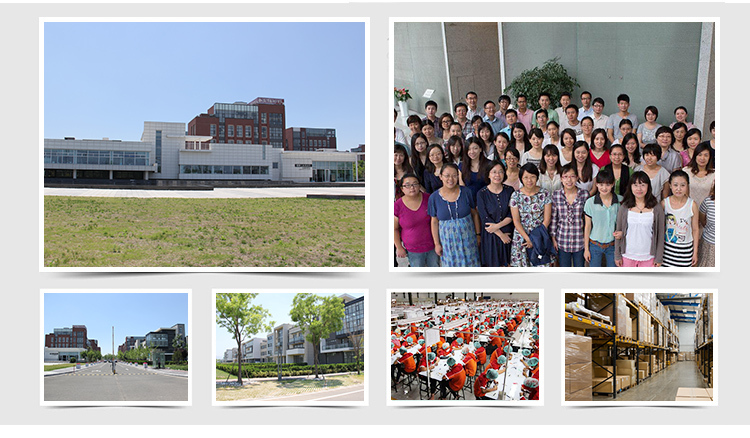 Light, comfortable, natural and various curls, lengths, and thickness. Our premade lash extensions are made of the best quality materials. If your natural lashes are very short and thin,Prefan lash extension is a good choice for you.The Russian volume eyelash extension is the newest technique.They are actually light and natural ,use less glue so you do not feel any weight on your eyes at all.You will have beauful and fluffy eyelashes. 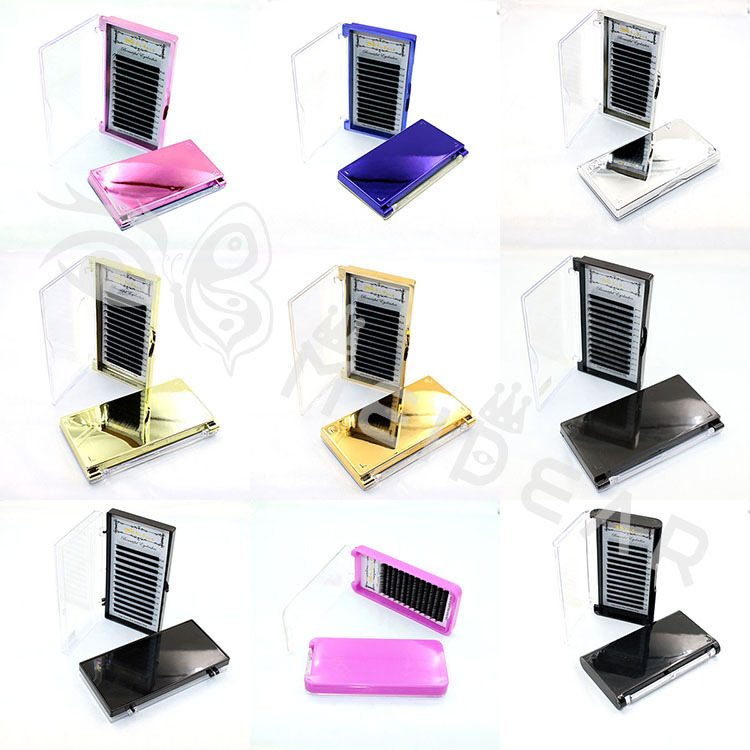 Pre fan lashes are lighter and fluffier, it can give you a very dramatic look. 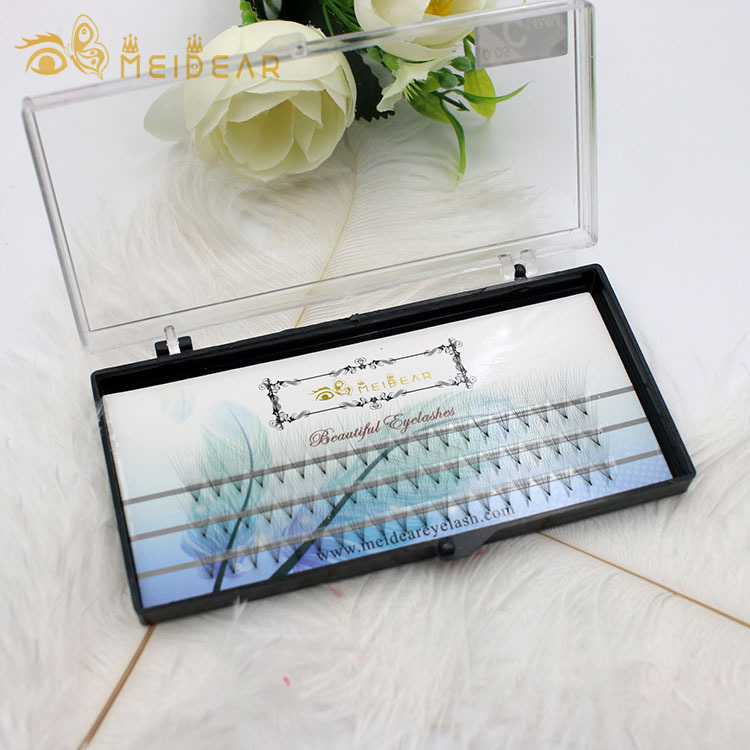 Our company volume eyelash carries an assortment of lashes to give customers the fullest and natural looking lashes.Volume lashes are extremely fine, Meidear eyelashes are beautiful naturally full, fluffy lashes that are virtually weightless. 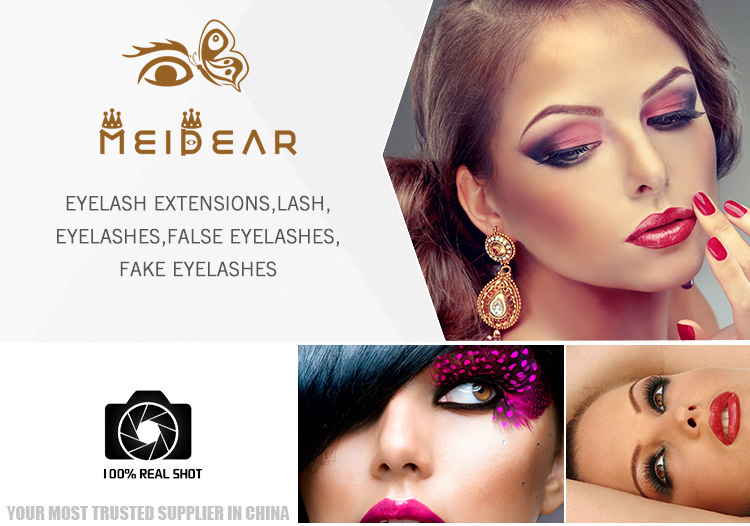 Meidear Volume eyelashes are available to any occassions, for weddings,party...A more dramatic volume effect and slightly longer lasting lashes are achieved with glamorous looking. 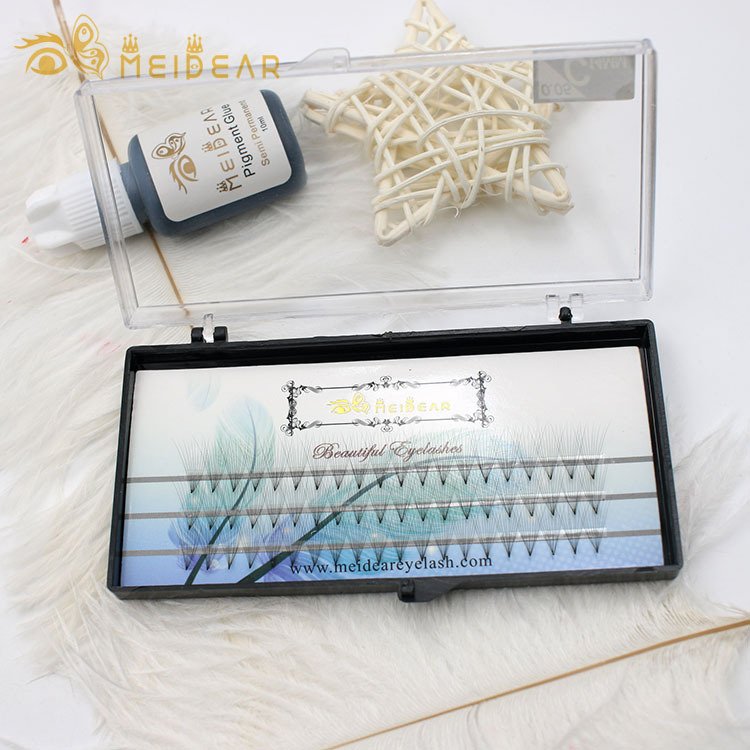 The Russion Volume eyelashes will create a more natural look ,it is not same as looking of strip lashes.Meidear volume eyelashes are designed to last long time than traditional semi permeant lashes,becuase the amount of the lashes applied and they are very lightweight.